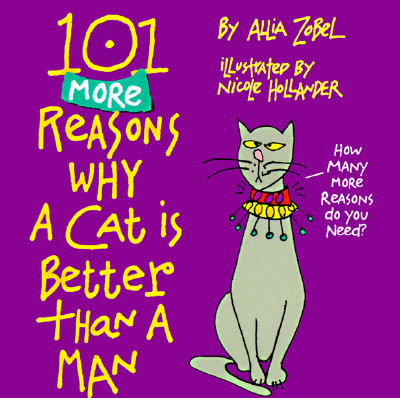 In this hilarious follow-up to their cat-humor classic, Sylvia's Nicole Hollander delivers the eye-catching, entertaining illustrations of Allia Zobel's irreverent and sometimes impudent confirmations of what women have suspected for years -- that they're better off with a cat. - A cat would ask for directions if he were lost. - Cats never ask, "What's in this casserole, honey?" - Cats don't make a big deal out of the Super Bowl. Unless, of course, you serve shrimp dip. - A cat would never make fun of your "bunny" slippers.